More than ten years after Incredimail first launched its email client for Windows computers, it has finally moved beyond Microsoft’s omnipresent desktop operating system and into the modern touchscreen, tablet-centric era. 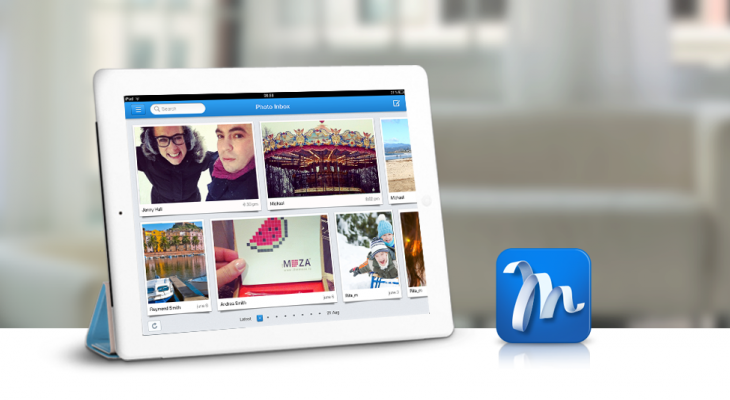 That’s right, Incredimail is now available for iPad. Just to recap, the Israeli company formerly known as Incredimail changed its name to Perion back in 2011, but kept the familiar Incredimail brand specifically for its email client. This sits alongside other flagship products, such as Smilebox, a photo-sharing and social expression app; and SweetIM, an instant messaging and Facebook app. Perion’s products have notched up more than 300 million downloads to date. With the short-but-necessary introductions out the way, we managed to get a hands-on with the new iPad app ahead of today’s launch. And it’s everything you’d hope it would be…assuming you’ve already used its Windows email client previously, of course. When you first launch the app, you’ll be presented with a handful of accounts to integrate with – Gmail, AOL, Yahoo, GMX, iCloud and ‘other’. You can add as many email accounts as you wish, and ‘other’ can be anything ‘IMAP’…though POP3 accounts such as Hotmail/Outlook will be catered for in future incarnations. Here, I opted to set up a Gmail account and, for the purposes of seeing how a different IMAP email account fared, I also dusted down an old Yahoo email account. It did actually take a while to get things rolling, but then again there was a tonne of emails to process. While you can choose to view only one email account if you so wish, you can also opt to have all your integrated accounts display together in one pane – a unified inbox. You can see a snippet of each message directly from within the inbox, without having to open it, similar to the viewing panes you get in many email clients. The Incredimail client is actually looking a little bit like a Flipboard-esque magazine for email. Furthermore, all links sent to you, including photos and videos, are presented as a preview within the email itself, while links you send are also seen as previews by the recipient. And it’s worth noting here too, when you’re composing a message, you can access the camera on your iPad to take a snap and attach it to the email, or upload from your camera roll. However, one feature that may not appeal to everyone (it certainly didn’t to me) was the specially designed stationery collection, which lets you spruce your messages up via a range of templates. Of course, you don’t have to use these, but they’re there if you like that kind of thing. But it’s the little things that really make Incredimail, things that are difficult to illustrate through screenshots. For example, when you click on an email to open it, the other messages slide to either side of the screen out of sight, with your desired message easing up through the middle to take centre stage. The reverse motion takes place when you wish to return to the main inbox. Moreover, the message previews you can see from the main inbox are actually individually scrollable, so you can cast your eye down the opening of each message, as well as moving to the top to reply, delete, forward or favorite (‘star’) it. All without leaving the main inbox screen. It’s also worth mentioning the photo inbox – in addition to your main email accounts, you can create a specific repository for photos shared through Facebook, though you must of course opt to connect your Facebook account. We’re told additional photo-based platforms will be added in due course, including Picasa, Flickr and Instagram. Prior to this launch, it seems that Perion was busy carrying out a little market research on consumers’ emailing habits. As we reported back in January this year, iPad-owners are seemingly turning to their tablet for managing their email…beating out PCs and smartphones by some distance. “We love email and believe it is, and will remain, a vital form of communication for years to come,” says Josef Mandelbaum, CEO of Perion. In terms of what the future holds for Incredimail, well, it seems that in addition to going truly cross-platform, it could become increasingly feature rich. In addition to POP3 email accounts as we’ve mentioned already, they’re also gearing up to bring in Facebook messages, Twitter and LinkedIn too. Oh, and a version for iPhone, Android and other devices are expected later this year, alongside a new desktop version, so watch this space. Incredimail could be set to become the ultimate unified communications client. And it should be available to download for free in the App Store any time now.